Quick and Easy. Click the link and fill in a few details, it’s as simple as that. No 500 word essays, no annual accounts, just the important stuff. Nominate a worthy winner or why not enter one of our 13 available awards yourself by clicking here. There’s a Category to suit everyone. With 2 NEW categories plus 11 more awards recognising the very best Companies, teams and individuals , everyone has a reason to enter. From Start-ups to Developers, Marketing Projects to Apps, we’re recognising a wide range of tech talent in 2019. Check out our full list of awards including new awards, Best Tech for Good Innovation and Deal of the Year here. YOU vote for Company of the Year. As soon as the shortlist is released, the voting is completely over to you. Simply add one of the hashtags released along with the shortlisted companies to communicate the company you want to win in a tweet, and your vote is counted. Easy, right? Voting continues right up to the night, so it’s all to play for. Make our shortlist? Once the shortlist is confirmed, we promote you or your company across our website, social media platforms and local media. It’s a great way for you or your company to get your talents recognised. We will also provide you with a range of free imagery that you can use to promote your success of becoming a finalist. FREE passes to Digital DNA 2019. If you enter and are shortlisted by our judges, you’ll be provided with free tickets to the biggest and best business and technology event in June, the two day event inviting industry leaders from around the world to speak on subjects surrounding our 8 key themes. The network. If you come along on the night, you’ll be in the room alongside 500 of Northern Ireland’s highly skilled and amazing talent pool. 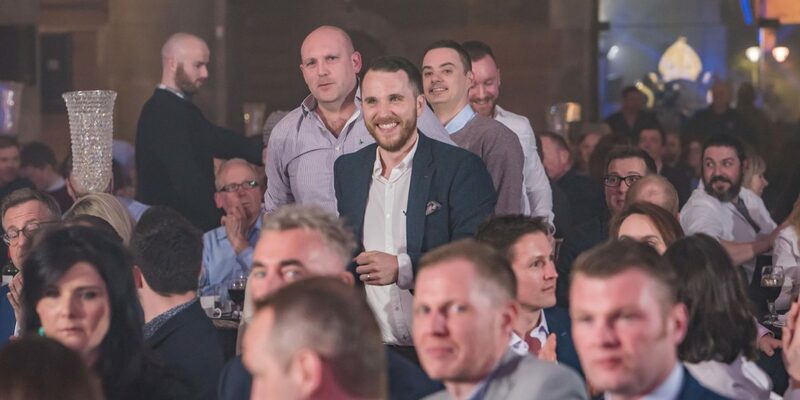 A great way to connect with others on what is the highlight of the year for the local tech industry and always a night to remember as we completely transform one of the most unique venues in Belfast. Don’t believe us? Check out last year’s awards here. Credibility. Showcasing your company at such a prestigious Business and Technology Awards is a great third party endorsement for your business. Positioning you as an expert within your industry, being nominated or even winning an award acts as validation to potential new recruits that your company is a great place to work. It’s also a great way to recognise your hard work in the eyes of those job-seeking in this sector within Northern Ireland.